Why Moonlight is the best WordPress Theme for Musicians ? 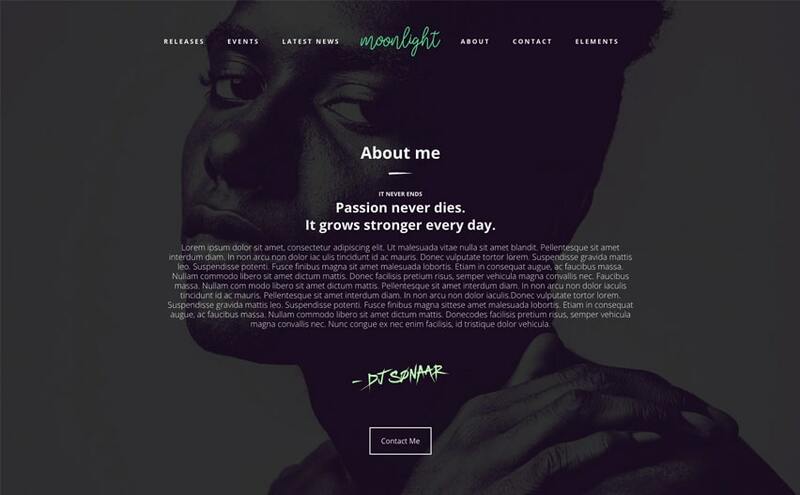 Moonlight is one of the most creative WordPress themes for musicians and artists on the WP market right now. It’s a very simple and colourful template yet one of the most powerful themes ever built because it has so many features behind the hood. Moonlight delivers an outstanding user experience with its huge image background that stays still while you browse the website. 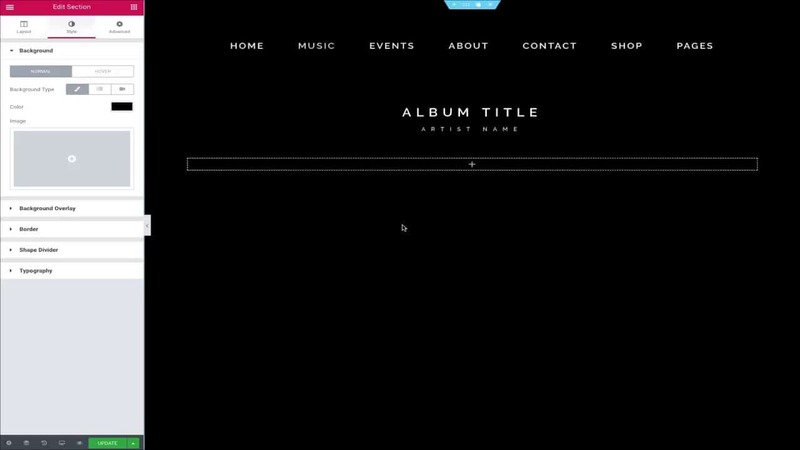 In addition, we have combined a unique way to promote your album and EP by creating a 3D parallax slider which can be controlled by your mouse movement. 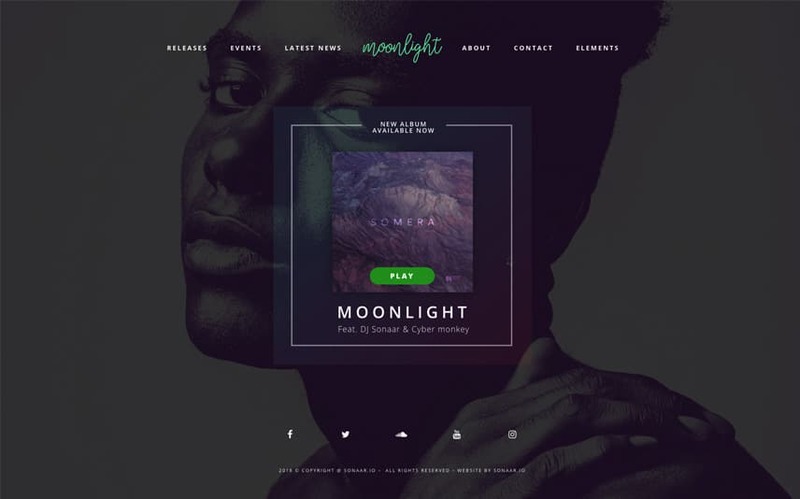 If you are looking to create an outstanding and effective website using a WordPress Music Theme, Moonlight is a winner. Moonlight is a fully responsive and mobile friendly WordPress Music Theme. All the page layouts are built and managed with a drag and drop page builder called Visual Composer plugin (now known as WPbackery Page Builder). Band and musician will love this template. You have total control over your template. We have included a bunch of customizing options, custom post type and 13 custom widgets to manage your musical website such as photo galleries, event manager for your tour dates, event calendar, discography manager and much more! A musical website is nothing if you don’t have a truly powerful music player. By using our custom discography manager for WordPress, you will be able to add unlimited tracks and mp3 songs and create beautiful playlists and music albums. Also, this is an Ajax WordPress Theme which means your fans will be able to listen to your tracks without interruption to the sound when they switch from page to page. In addition, you can use this web template for selling merchandise, albums and event tickets. Yes, you heard right. We have WooCommerce support to raise your online stores to a next level. You can learn more about WooCommerce plugin here. 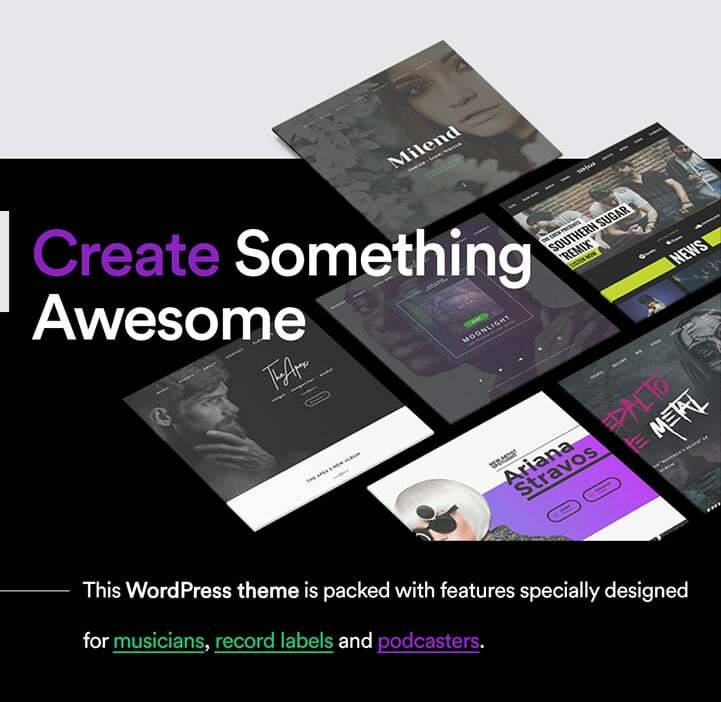 So if you are a serious upcoming or already established artist, looking for a professional WordPress theme for musicians, this is one of the best templates we’ve created so far for the music industry.